This was a day conference hosted by Prospect (a formative archaeologists’ trade union) and the Diggers’ Forum, held at Museum of London’s archive centre on Saturday 2 November 2013. This post is a personal reflection on the debates. Some useful links are included at the end of this post. How is the archaeological “industry” and its advocates viewed from within? What is the range of views and how cohesive or fragmented is the community? Ditto, from the outside, and by key enablers and stakeholders such as government, local authorities, commercial customers, the greater public, academia, patrons, regulators and industry lobbyists? How did we get to where we are now: a painful deliberation and probably mostly our own fault? Where do we go from here as a profession? Is chartership a critical step? Is setting minima salary benchmarks (or should this be a holistic “benefits” package) a step forwards or a reductionist reaction to market economics operating under their own momentum—whether we like them or not? How do we compare, as an evolutionary, progressive discipline, with other chartered and regulated “professions”—how do we stabilise a sector seemingly undermined by so many factors (qualification, pay, development, tenure, viability, supply-and-demand)? 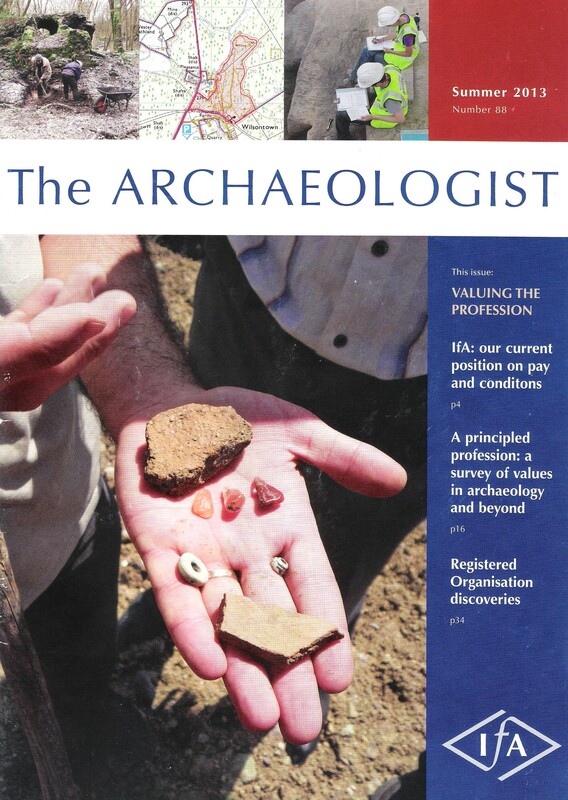 *IfA’s The Archaeologist (Summer Edition 2013 No 88) offers more context on the pay & conditions debate in the “Valuing the Profession” section. Members only but I was surreptitiously slipped a copy by a friend! The intention here is not to provide a comprehensive commentary on what I heard in the presentations and Q&As, nor saw in metrics and graphs. It’s more to unpick some of the themes, identify the circular or intractable arguments, and try to spot seminal threads that might, after decades of in-talking, merit emphasis as catalysts that could result in innovation and game-changing dynamics. For me, there’s a knotted area around the relationships between free-market-economics vs competition-regulation | pay-quality-standards/skills | product-value-customer. 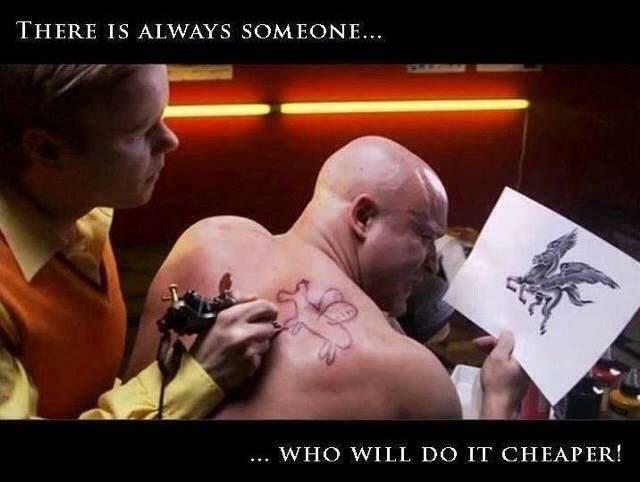 To express this more simply: economics | quality | value. I apologise if this is a little Hodderian (or Hodderesque? ), but some of the appositions were evident through the speakers’ different stances—some nuanced, some overt. It struck me that Antony Francis’ overview of the pay-and-conditions landscape, speaking for the PROSPECT archaeologists’ trade union, takes the “Thatcherite” free market doctrine as the main, or one of the principal, contributors to the present debacle. That said, there’s also broad recognition that commercial archaeology (including academic-based commercial operations) has to a large extent continuously undercut itself to a point of no return. Talk of whether there remain “cowboys” in the industry is, for me, inevitable (somebody to blame) as well as a distraction—it’s a perpetuating effect, not a causal factor. Every industry has a bogeyman, whether real or imagined. Without internal regulation, consensus-based policy, strong “industry” advocacy (ownership) and consistent operating practices, archaeology has naively allowed the free market ecosystem to define the lowest common denominator in terms of cost, outcomes and value. The tail has wagged the dog driving a melancholic and reflexive spiral of pessimism that itself impedes a confident expression of our value-contribution. Without confidence, without competition, innovation and differentiation are unlikely to flourish? The “product” is undifferentiated—”the empty hole”—and the dynamic is reduced to one of simple time-and-cost. It was also interesting to compare the proposed mechanisms by which one begins to address pay (whether salaries or packages with or without a sense of employment status—full time, contracted, freelance). I have the sense that PROSPECT advocate forcing up pay as a function of (a) comparative positioning based on “equivalent” skilled professions; (b) similarly to “minimum wage” and “living wage” national and regional benchmarks. This, at least, is a bottom-up approach that acknowledges the current state of lower quartile pay, but perhaps fails to address the perceptions of clients, the public and government around “what” value we bring other than performing statutory functions that result in an empty hole, executed on time, at minimal cost, by manual workers (outside-in perception). I think there is another implied risk and un-researched(?) area in that some archaeologists employed in the commercial sector are reasonably well remunerated. How so? What are the employers doing in their business ventures to make this possible? How stable is the environment? Does this recognise that one size of representation fails to meet all circumstances or to acknowledge the existing diversity in degrees of success? What do those enterprises say about their ability—the internal and external conditions—that allow them to offer fair remuneration (I am not saying it still isn’t below par) in a competitive landscape? What does the success recipe look and smell like? Hence PROSPECT want to establish a direct relationship between pay and standards (quality derived from skills related to reward) as a bargaining position, with the contextual tenet that low pay drives poor standards. I wonder if their aim isn’t ultimately to be able to bargain for better conditions by withdrawing service in a developer-led and time=money construct? How progressive is their intent? For them this—the pay-quality linkage—is an important proportionate correlation, whereas others may feel that archaeologists will always perform to the best of their abilities in even the meanest of conditions. For me, this presumed coupling over-simplifies a situation where many other variables are at play, such as up-skilling and development (a career), retention of skills and expertise (loyalty), inbound commercial pressures (reality of the real estate), and career lifeways (a viable future). It’s shocking too to see metrics on how little career development (CPD) in our industry compares to my own experiences in the non-archaeological corporate private sector where one’s value and remuneration pivots off constant learning and improvement as much as corporate results—how engrained and IT-supported it is elsewhere. However, perhaps there also is something to be said for the industry’s aversion to whistle-blowing about bad practice, poor execution, questionable results and lacking dissemination? This was touched upon. Are we not behoven to call out mal-practice, constructively? And should we not provide an institutional means for the accused to seek a fair hearing such that we can all learn and improve, together, as a community? Perhaps this is too utopian—there is always fallout. There must be? It is a free market. Regulate the beast! | Or sleep with the devil? A third area of politicised policy is whether the free-market should be reversed, eliminated. I don’t believe any of the parties would fail to acknowledge at least some benefits in our present economic model, and most would agree that it is in its simplistic execution that we find ourselves swimming. An alternative view seems to be that commercial organisations might be tied to their geographic areas of expertise, almost in a “franchising” framework (lip service to free markets) but perhaps closer to the dwindling local authority archaeology units that blossomed in the 1970s-80s-early 90s and in the subsequent warm glow of PPG16. Noises related to this speak of shifting pay (and systematic grading) into a highly regulated matrix and looking to shift the cost exposure away from developers (and by implication away from a free-tendering process) to a taxation-based foundation or a tax credit for developers and land owners. There were a few in the audience who reflected that many large commercial organisations may, in fact, not be UK tax payers in today’s off-shored world financial system—a largely unregulated system, one might add with a wry smile. The real value, to which one can attribute a £-$-€ figure, of “good will” for private sector corporations (developers and landowners) was also touched upon and would benefit from more exploration. The association of a commercial company (the clients) with best practice in the public interest, more so in balancing perhaps less savoury aspects of their perceived operation, is an under-exploited area of shared benefit for all parties. Was the late Aggregate Levy Fund not such an example of offsetting conflicting commercial aims through a re-investment for a greater public gain? Again, I think there’s a polarised positioning around the inevitability of a free marketplace (and how we get to grips with it) and regulation to drive conformity and shift the source of funding without directly addressing the nature of the product and the challenges of “who cares”. It was later in the day, the last session in fact, where David Connolly (BAJR), speaking about the development of a skills passport to underpin the importance of Continuous Personal Development, questioned our desire to compare ourselves with other chartered communities. With some humour, but some seriousness too, he suggested that there’s a big difference between a chartered archaeology and the likes of architects, lawyers, accountants, surveyors and so on. If archaeology goes wrong (excluding considerations of health and safety) “nobody dies”. If a major engineering project gets it wrong, he argues, there are far more serious consequences. 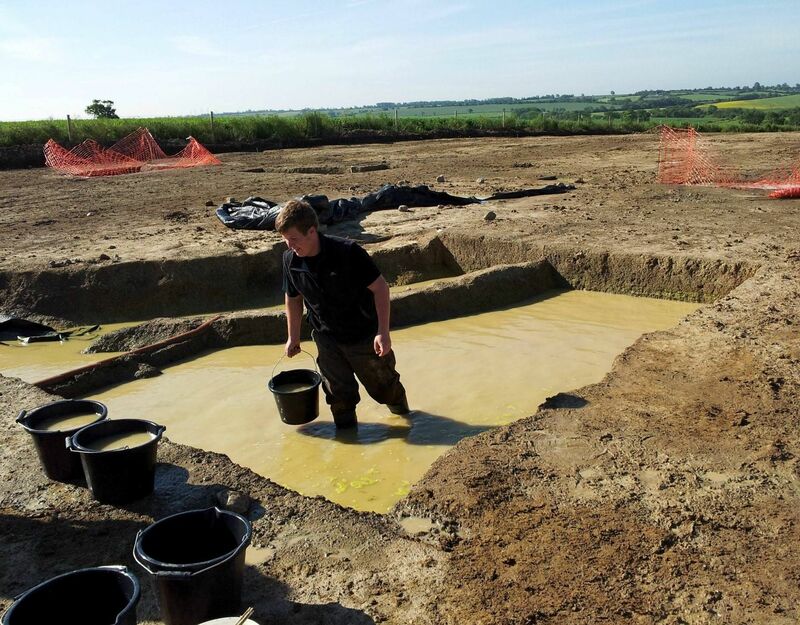 We do archaeology “largely for ourselves”. I think this dovetails into a question of what the product is and to whom it is of value, and then what it is worth. Dominic Perring (UCL) whose career spans commercial (employer) and academic (research) experience challenged this position by arguing that it’s the end product itself which is under-developed and so undervalued. If the product is high-class (not an empty hole) then perceptions of the discipline shift for most stakeholders, with an implied “peer pressure” for the stalwarts (developers?) towards a broader and deeper appreciation of practitioners by virtue of the richness—and public relevance—of the end result. I found this compelling. Dominic deconstructs the site/project-based components, the more tangible aspects of an archaeological intervention, and wraps in a series of value-hooks. Archaeology lacks comprehensible value if it is not seen to drive (and benefit from) research agendas that themselves augment our societal understanding of the past (present and future). In seeking knowledge (not an empty hole) we might demonstrate the interpretive creativity and rigorous scientific methods in its pursuit? We might then be forced to reconfigure, or renegotiate the relationships between our fragmented parts: public, legislative, commercial, academic. We might then precipitate an environment where our pay, as a reflection of value, is “pulled up” on intrinsic grounds versus being “forced up” on grounds of comparative unfairness? Perhaps this also re-engages the industry in a way that fosters innovation through research, potentially segments the service-provision space, differentiates practitioners, diversifies around specialisms and calls out the importance of skills and talent that transform the end result, the product, delivered to the client. This, at any rate, is how I took the two different positions. Other sessions offered interesting metrics on age, gender and education-based disparities resulting from recent surveys. These begged more questions than interpretations but did precipitate some spin-off debate about the value of academic qualifications to practical field engagement. Earlier presentations touched on the hyper-inflation of qualifications as a means of regulating and differentiating an over-supply of candidates (irrespective of pay) with the German situation cited where, increasingly, double doctorates are required. We may, ourselves, be suffering a dearth of Masters students who chose that route directly in light of the reduced opportunities in today’s economic environment. As an aside, the self-same situation now exists in the UK legal profession where there is a chronic over-supply of graduates and a lack of opportunity—even if called to the bar—for internships, within a mandated time frame, that lead to real jobs. There are broader issues as to the extent to which higher education prepares students with practical field skills (as is the case in the legal profession too). However, I think there is more than an implied re-coupling in this context with the importance (and value offered by archaeologists) of research-based agendas in articulating the past—our work and passion—for our customers, interested audiences and paymasters. In conclusion: how full is your wheelbarrow? Half full, half empty? Mine’s half full (spoil at the front) but seems to have a square wheel. Photo credits | Watery hole: courtesy of Chris Chinnock. 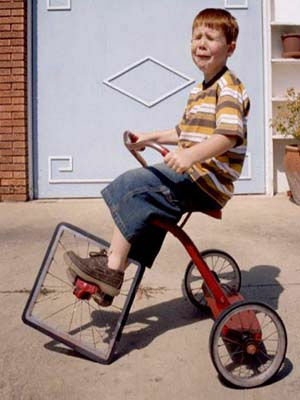 Square Wheeled Trike Velo abzug / Foter.com / CC BY-ND. This entry was posted in British archaeology, Microburin miscellaneous and tagged Archaeologist, Careers, Commercial archaeology, David Connolly, London, Pay and conditions by Spencer Carter. Bookmark the permalink.